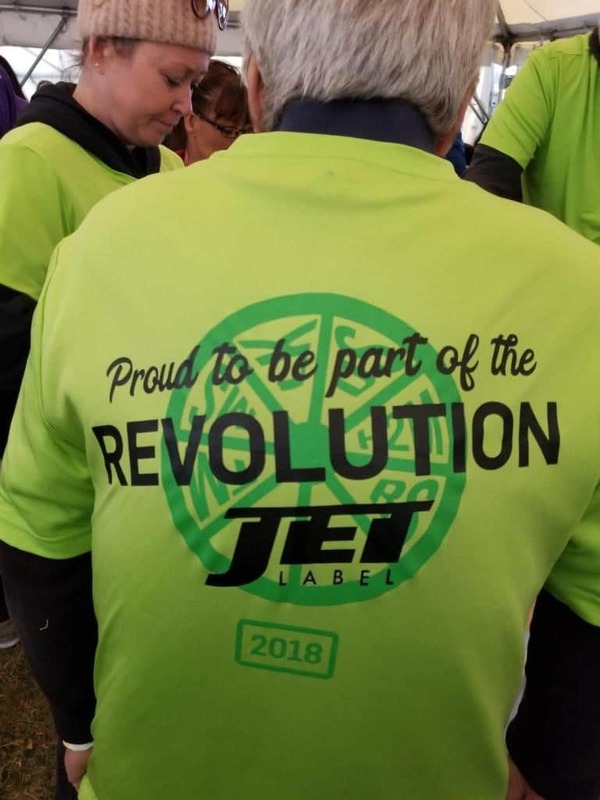 Jet Label & Packaging Ltd., Western Canada’s largest producer of labels and printed tape for a broad range of industries, is an elite sponsor of this year’s Revolution Ride to Defeat Diabetes in Edmonton. A longtime supporter of JDRF, Jet Label also had a team participating in the Edmonton chapter of the organization’s stationary cycling event, which takes place in cities across Canada. In Edmonton, participants engaged in a 10-minute ride as they put their physical fitness to the test to help find a cure for type 1 diabetes (T1D). With over two decades of servicing customers in food, forestry, pharma and a variety of other sectors, Jet Label has a long history of satisfying customers and supporting worthy causes. With manufacturing facilities in Edmonton and Vancouver, Jet Label produces labels and printed tape efficiently and cost-effectively for a diverse portfolio of customers, including grocery stores such as Safeway and Sobeys, international forest product companies such as Canfor and West Fraser, consumer product companies such as Bee Maid Honey and Arctic Chiller, industrial application companies such as Ackland’s Grainger, Gregg Distributors, and All Weather Windows. With manufacturing facilities in Edmonton and Vancouver, Jet Label produces labels and printed tape efficiently and cost-effectively for a diverse portfolio of customers, including grocery stores such as Safeway and Sobeys, international forest product companies such as Canfor and West Fraser, consumer product companies such as Bee Maid Honey and Arctic Chiller, industrial application companies such as Acklands Grainger, Gregg Distributors, and All Weather Windows. Jet Label also supplies parking and boarding passes and baggage tags to the Toronto, Calgary, and Edmonton International Airports. The Edmonton Police Service has also been a long standing customer. In addition to Edmonton and Vancouver, Jet has sales and distribution operations in Calgary, Prince George, Kelowna, Surrey, Saskatoon and Winnipeg. For more information, visit www.jet-label.com. We’ve been featured in the Dec/Jan Issue of Converter Magazine!